Public less than three months, Permex Petroleum (CSE: OIL) has been setting goals and promptly checking the boxes, increasing scale, reserves and production just like they said they would. Without mentioning the idea of a partnership, the Vancouver-based junior delivered a big surprise to boot, landing a major international oil and gas player as a Working Interest partner on a West Texas field. Unlike many juniors that enter the public domain via a reverse merger, Permex came public in May through an initial public offering, raising $4.0 million to advance its oil and gas assets in Texas and New Mexico, where it is focused on the prolific Permian Basin and the highly sought after Delaware Basin (a sub-basin of the Permian). In order to expedite development of its substantial land packages, Permex is not going it alone. The company is getting help, signing a farm-in agreement with Blackspear Capital for the 680-acre Oxy Yates property in Eddy Country, New Mexico, effectively giving Permex a VC strategic partner. Per the pact, Blackspear will be responsible for the costs of drilling and completing operations. Permex will hold a 25% interest in the project until Blackspear recoups its expenses, at which time Permex's interest will climb to a 50% working interest. Early in June, perhaps the greatest testament to date as to the strength of Permex and the potential of its portfolio was demonstrated with the company joining in on a Working Interest partnership with Occidental Petroleum Corp. (NYSE: OXY), an NYSE-listed company with a $63 billion valuation. The two became aligned through Permex's acquisition of the title and interest in the ODC San Andres Unit and W.J. "A" Taylor lease located in Gaines County, Texas. The oil-rich ground covers 1,220 gross acres in the Central Basin Platform of the Permian Basin. 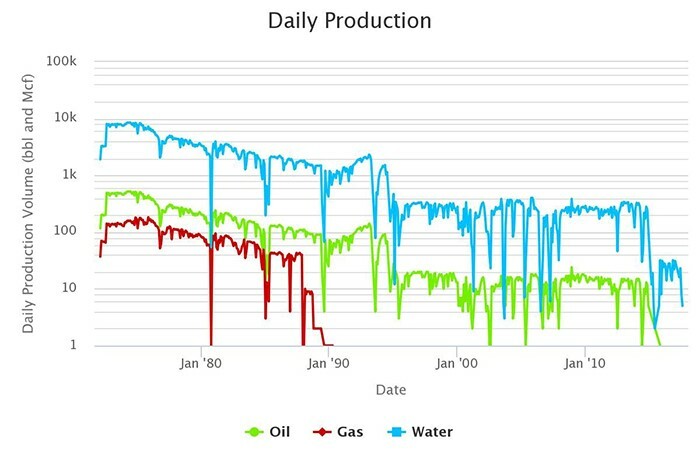 To understand the importance of the Permian Basin to U.S. oil production, consider that 3.2 million barrels per day were extracted from the basin in May and that it has played a key role in domestic production this year reaching it highest levels since the government started keeping records in 1920. Permex has been voted in as the operator on the property, which already is comprised of 52 vertical wells, 26 of which are producing, 21 injection wells, four shut-in wells and one abandoned well. 158 barrels of oil and 13,000 cubic feet of gas are being produced each day from the wells. Permex, which has varying interests (~41-48% working interest, plus net revenue and royalty interests) in the assets, picked them up for a song, paying $1.95 million in cash, which delivered the ownership, as well as $1.2 million in equipment. The acquisition raised Permex's total oil and gas holdings in Texas and New Mexico to 6,500 acres. Currently producing from the San Andres and Devonian formations, management thinks there is tremendous room for expansion, including to depth by penetrating the Glorieta, Abo and (especially) Wolfcamp zones. As an example offsetting Wolfcamp vertical wells have been known to produce over 400 barrels of oil per day. If that wasn't already enough, Permex through field analysis and monitoring has located offset operators testing the Horizontal San Andres production, which opens up a tremendous opportunity for Permex to potentially add to production through horizontal leg conversions (this decreases the cost quite a bit, as no vertical drilling will be required). If Permex can be judged by the company it keeps, it is getting ready to grow long legs, as it is not only working with Occidental on the project, other operators in the area include Devon Energy (NYSE: DVN), Hess Corp. (NYSE: HES) and Fasken Oil and Ranch. Permex's acquisition lifted its proven and probable oil and gas reserves to roughly 9 million barrels of oil equivalent (up 25.6% from its previous holdings). The company's net present value of future net revenue (discounted at 10%) climbed 30.4% to $150.0 million with the acquisition. This from a company with a market capitalization of $12.0 million. As part of its pledge to shareholders to keep building scale, production and reserves, Permex continues its hawkish approach for additional targeted acquisitions in New Mexico will give Permex more opportunity to extend its full section ownerships in the Delaware Basin, a region that is thriving to the extent that Excel Energy is in the midst of investing about $3 billion in infrastructure to meet electricity demand at record highs because of the oil boom. 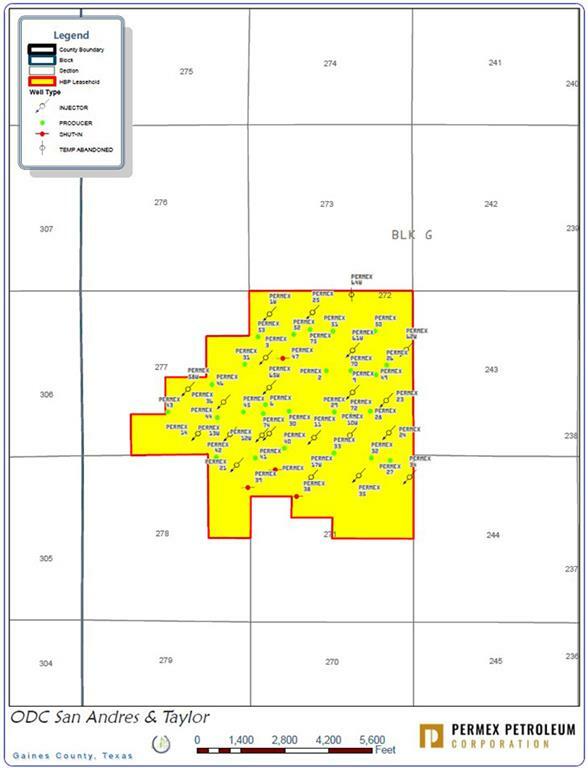 Anadarko (NYSE: APC), Exxon Mobil's (NYSE: XOM) XTO, Occidental, Summit Midstream Partners (NYSE: SMLP), Devon, Apache (NYSE: APA); these are just some of the names that are active in the Delaware Basin, once again positioning Permex to rub shoulders with some of the biggest in the oil and gas business. The re-entry and stimulation tactics at the new leases will be similar to those that Permex has already successfully initiated at two of its properties in the Permian Basin, the Bullard and West Henshaw properties. The company estimates that bringing its 33 shut-in wells online and using a combination of stimulation techniques, along with infill drilling of shallow wells, will yield exit rates of approximately 400 – 500 barrels of oil equivalent per day (BOEPD) for 2018. Considering management has developed a pattern already of meeting or exceeding guidance, there's little to doubt that won't be achieved later this year. In a conversation with Baystreet.ca, Permex CEO and President Mehran Ehsan emphasized the leadership team's firm commitment to continuing to excel on deliverables and building significant shareholder value through sustainable growth. Phase One of the program has been amassing a considerable portfolio in prolific oil regions, followed by low capex well re-work to generate cash flow and maximize output before transitioning to more capital-intensive horizontal and vertical drilling. To that point, Permex has a distinct advantage over any other company its size: The company will enjoy the benefit of Occidental's expertise to mitigate risk in horizontal drilling, just one more advantage that should keep the company building value and keeping its tontine of nailing milestones. Legal Disclaimer/Disclosure: This article is not and should not be construed as an offer to sell or the solicitation of an offer to purchase or subscribe for any investment. No information in this article should be construed as individualized investment advice. A licensed financial advisor should be consulted prior to making any investment decision. We make no guarantee, representation or warranty and accept no responsibility or liability as to its accuracy or completeness. Baystreet.ca assumes no warranty, liability or guarantee for the current relevance, correctness or completeness of any information provided within this article and will not be held liable for the consequence of reliance upon any opinion or statement contained herein or any omission. Baystreet.ca expects to be compensated in Permex Petroleum restricted shares valued at forty thousand dollars for advertising. Furthermore, we assume no liability for any direct or indirect loss or damage or, in particular, for lost profit, which you may incur as a result of the use and existence of the information, provided within this article. Be extremely careful, investing in securities carries a high degree of risk; you may likely lose some or all of the investment.